It hasn’t been the most successful season thus far for the Indianapolis Colts. And of course as a result there has been plenty of speculation over not only IF current coach Chuck Pagano will be back, but also WHO might take his place if he is indeed. With all of that in mind it’s hard to really gauge who has the best chance of leading the Colts next season. So based on the information that IS currently out there blow are the top-5 possible options to be the head coach of the Indianapolis Colts next season. 1. Jim Harbaugh-PROS: To start out with Jim Harbaugh is already a proven winner in both college and professional football. his career record is 49–22–1 (.688) in the NFL and 83-35 (.703) in college. Secondly, he has shown the ability to turn losing programs around in a hurry. After inheriting a 6-10 San Francisco 49ers team to a 13-3 record in his first year and a 5-7 Michigan Wolverines team to a 10-3 Citrus Bowl winning team in his first season. Harbaugh also has a few ties to the Indianapolis Colts. A. He was the starting QB for the Colts for 4 seasons. and B. It would reunite him with Andrew Luck who Harbaugh coached at Stanford. 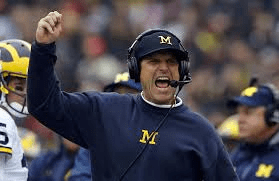 CONS: Harbaugh has shown that he prefers to have more control over the team than is traditional NFL coaches. It is unclear if Harbaugh will be wiling to work with an NFL GM after his previous NFL coaching experience and with the Colts hiring a new GM entering this season it isn’t likely that they will parts ways with him if HArbaugh wants total player and team control. Harbaugh is currently coaching his college alum Michigan and there have been no signs that he’s ready to move on just yet. 2. 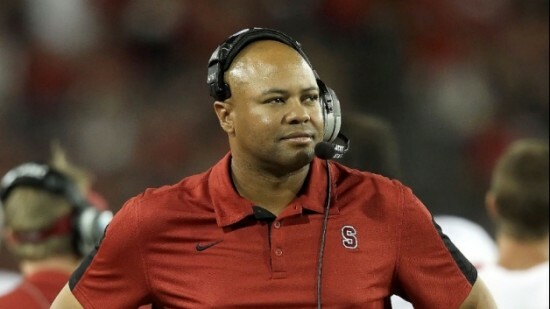 David Shaw-PROS: since taking over at Stanford, David Shaw is 70–19 so he’s proven he can win at the college level at least. Shaw was also Andrew Luck’s offensive Coordinator for most of Luck’s time their which would be a major plus when trying to build an offense around the QB. CONS: Shaw is a Stanford alum, so luring him away might prove to be difficult. Shaw has also stated that in order to get him to consider an NFL job you must first convince his wife that “your city is better than where we currently are” whether he’s joking or not the comment tends to show that he’s more than content in his current job. 3. 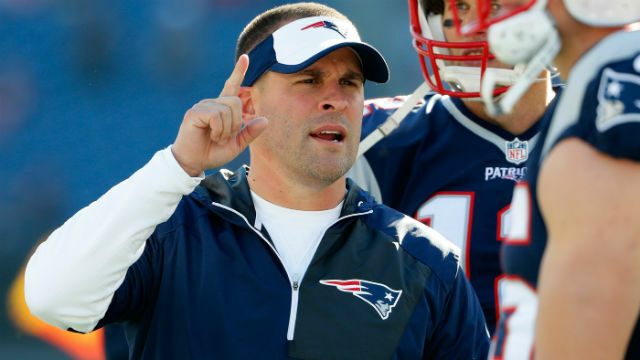 Josh McDaniels-PROS: Josh McDaniels is probably the top head coaching candidate for a lot of NFL teams looking at coaching changes in the off-season. McDaniels is in his second stint as the offensive coordinator of the New England Patriots, a team that has been well known over the years for it’s offensive success. Adding to his pedigree is the fact that he is a Bill Belichick disciple. and has previous head coaching experience. CONS: McDaniels may have previous Head coaching Experience, but it didn’t exactly go all that well so there are some questions about if he truly can be an effective head coach. McDaniels has also made it clear that he is only leaving the Patriots this time around for the absolute perfect opportunity and even pulled his name from consideration for positions last season so he could focus on the playoffs, so he might not even be interested if he was offered the job. 4. Jim Bob Cooter- PROS: Jim Bob Cooter has quickly become one of the top young offensive minds in the NFL. Jim Bob has done nothing but grow and improve the Detroit Lion’s offense since he took over during the 2015 season. Jim Bob also has some ties to the Colts as they gave him his first NFL job as an offensive assistant from 2009-2011. CONS: Jim Bob may show promise, but he is still only 33 years old and is entering only his 2nd full season as an offensive coordinator. The Lions have also been stingy when it comes to letting other teams interview Jim Bob for better positions. 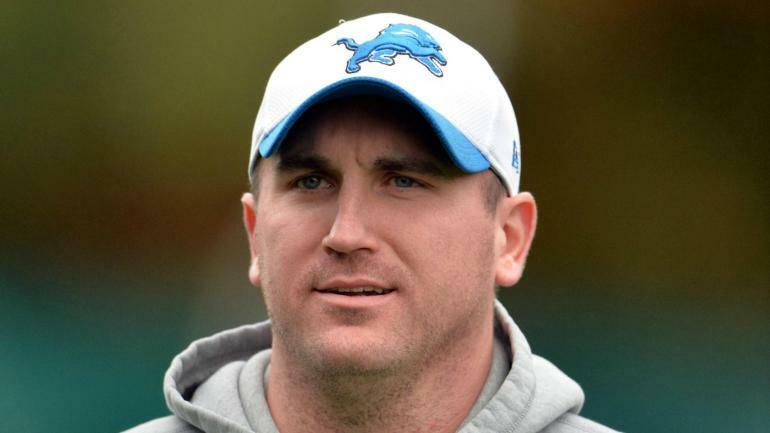 They denied the Chicago Bear’s request to interview Cooter for their offensive coordinator position in 2014 when he was still their QB coach, so it’s doubtful that the Lions would easily or willingly part ways with the mastermind of their offense. 5. Chuck Pagano- PROS: Honestly, Chuck is only on this list because since he hasn’t been let go yet it is still plausible that he returns as he is still under contract. Chuck has had success with the Colts when Luck has been healthy though, leading the team to 3 straight seasons of 11-5 and advancing farther in the playoffs each of those seasons. And since he has worked with most of these players for multiple seasons the argument could be made that nobody knows their strengths and weaknesses like Pagano does. Plus, seeing as Colts Owner Jim Irsay just gave Pagano an extension last season he might be hesitant to part ways with his coach just yet. CONS: Throughout his tenure as coach Pagano’s teams have never quite been able to play for a full 60 minutes. The Colts have either started slow and then comeback in the 2nd half or start well and fade during the 2nd half. The latter of those options can be traced back to a lack of adjustments made by Pagano at halftime which is not smart coaching. 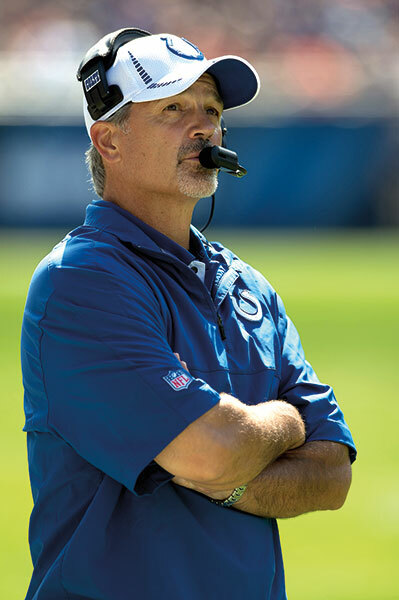 But most importantly, since the coach hired a new GM entering into this season it isn’t likely that Chuck Pagano will last past this season since coaches from a previous regime almost NEVER last past 1 season at most since most new GM’s prefer to bring in their own choices to coach the team.